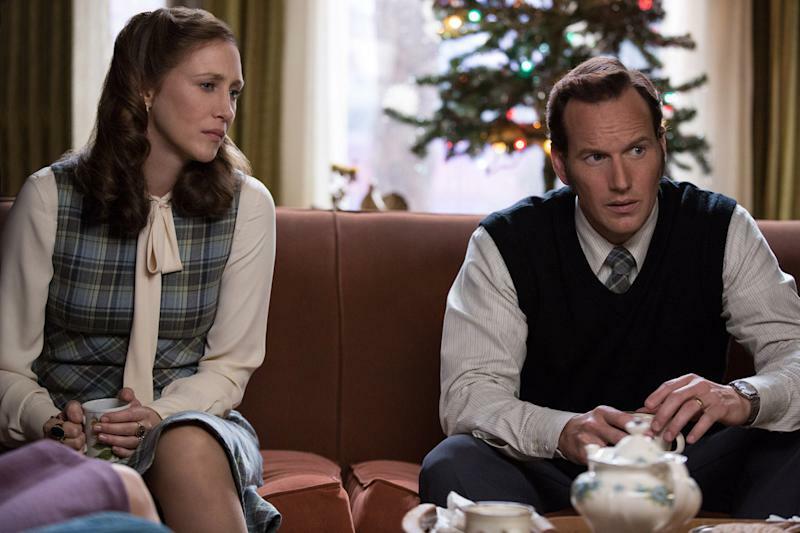 Vera Farmiga got spooked making the 2013 sleeper horror hit The Conjuring. On the night she accepted the role of real-life ghostbuster Lorraine Warren, the actress opened her laptop to find “digital claw marks” across the screen. During production, she’d inadvertently wake up every morning at 3:07 a.m., the same time a clock would repeatedly stop in the haunted home Lorraine and husband Ed (Patrick Wilson) investigated in the film. 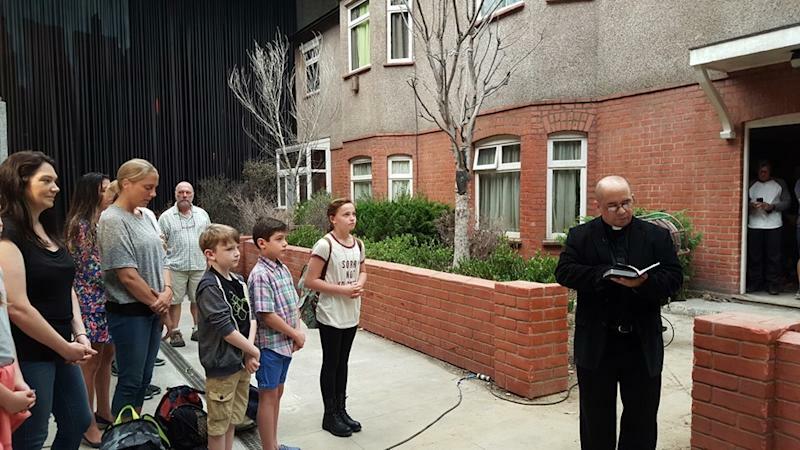 So when it came to shooting the upcoming sequel, The Conjuring 2, which sends the Warrens across the pond to Great Britain seven years after the events of the first movie, the filmmakers set out to preemptively counter any paranormal activity by bringing a priest to set to bless the production. They were inspired by Lorraine Warren, now 88, and her family, who routinely have a priest perform a ritual at their home, whose basement “archives” house that famous doll named Anabelle. So on Day One, in came Father Steve Sanchez, a Catholic priest at the Archdiocese of Sante Fe in Albuquerque, New Mexico. Regardless, whether there were supernatural forces at work on the first film or it was all in their heads, Part 2 hasn’t been nearly as spooky for folks like Farmiga. When we spoke to the cast and filmmakers near the end of production — which started in Los Angeles before moving to London — there were no new scratches, early wakeup calls, or general feelings of unease to report. Father Steve may have very well saved the day before this story even began. 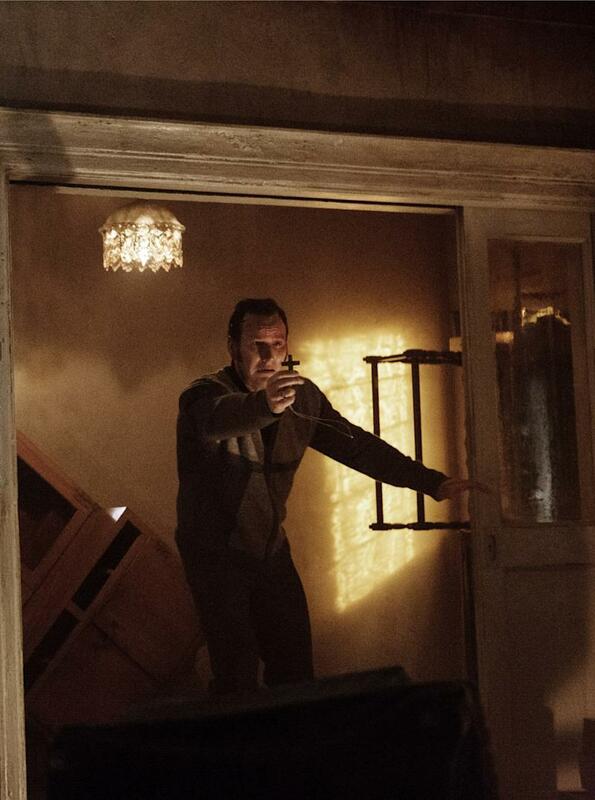 The Conjuring 2 opens everywhere June 10.